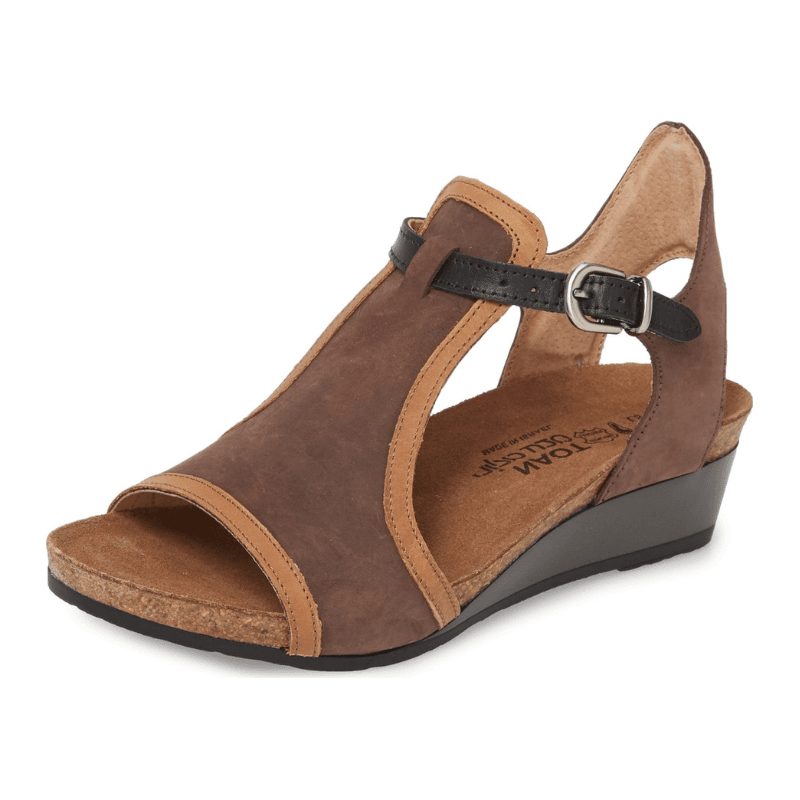 Wonderful for transitioning between seasons, these low wedges feature a playful peeptoe, cushioned and supportive footbed, and an adjustable ankle strap. Available in three nubuck combinations. We love this European styled walking shoe! 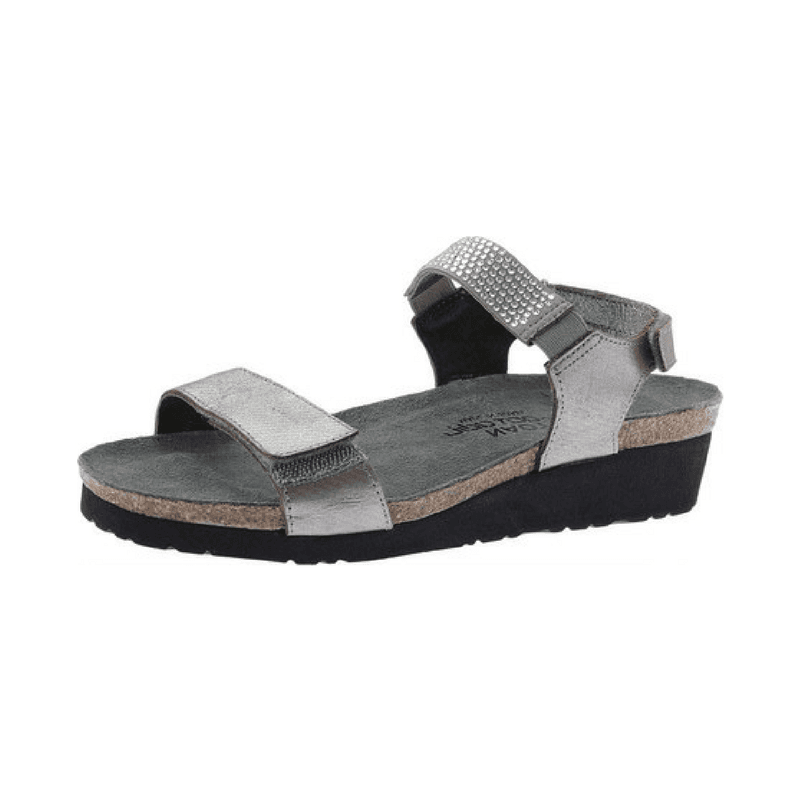 Crafted with lovely arch support, cushioned footbed, and shock absorbing outsole; these feature a laser cut upper in a combination of neutral greys that looks great with jeans. 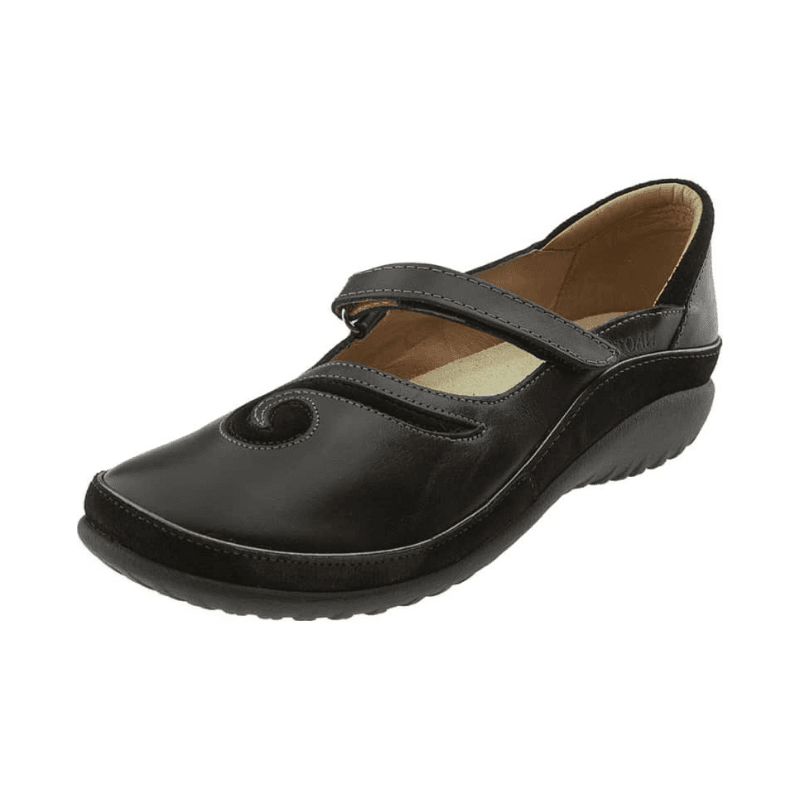 A classic comfort shoe, these maryjanes feature a rounded toe with a cushioned footbed, an adjustable velcro strap, and a flexible outsole. Available in a timeless black leather. Add a pop of color to your outfit! 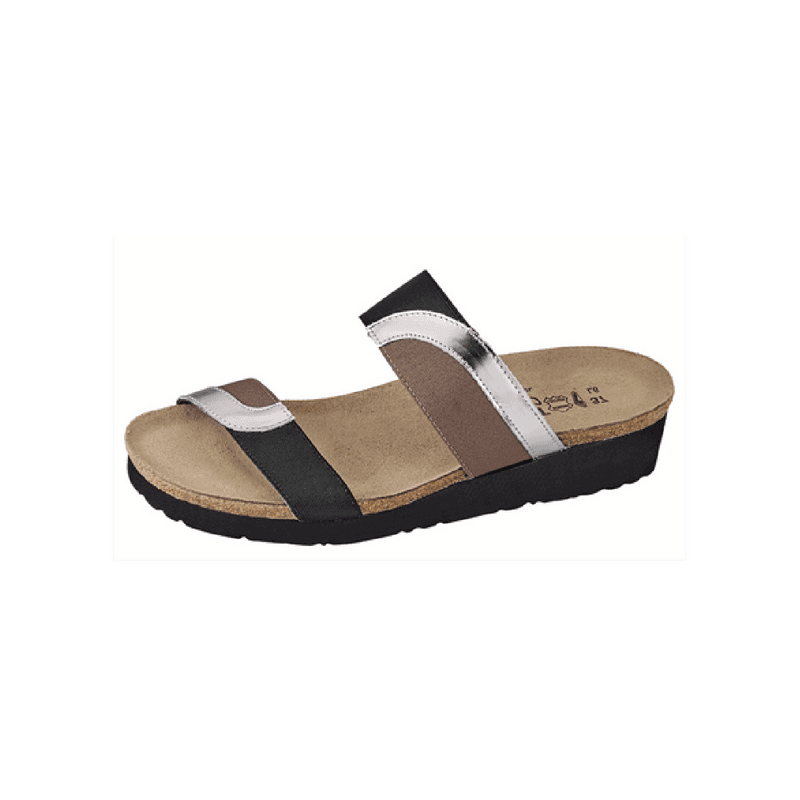 Just in from Naot, these casual and comfortable slides are incredibly easy to wear. 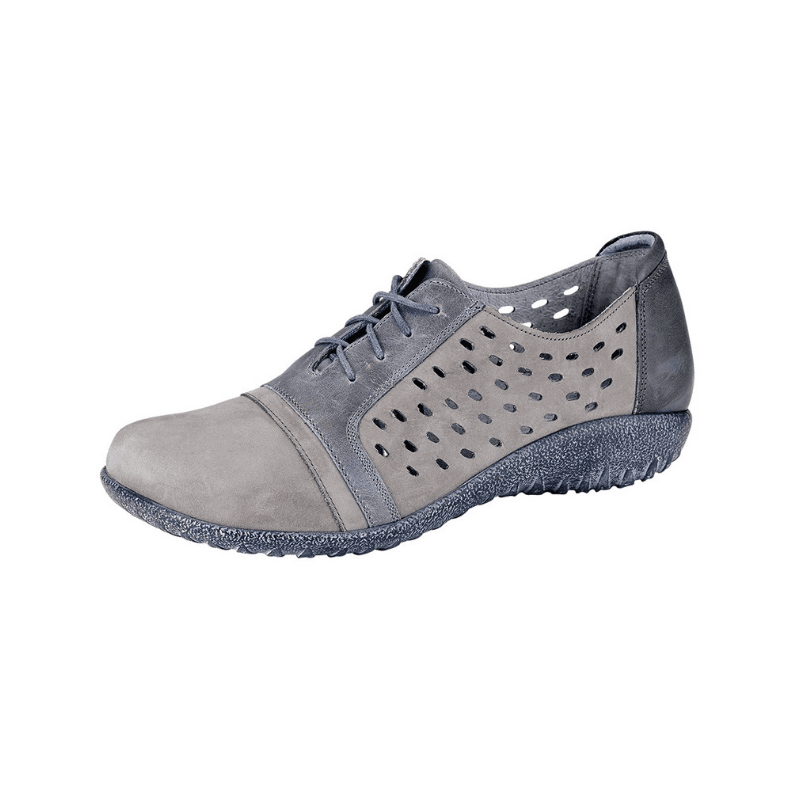 Available in three different colorways, these feature a cushioned and supportive footbed to keep you upright all day! A little added bling jazzes up the ever-so-popular 'kayla' sandal from Naot. Crafted with the same fantastic cushioning and support you're used to, these are a wonderful choice for walking. Make a chic getaway in this whimsical sandal! Sparkly crystals and adjustable features come together in harmony while the comfortable footbed provides incredible support all day long. Some kind of wonderful! 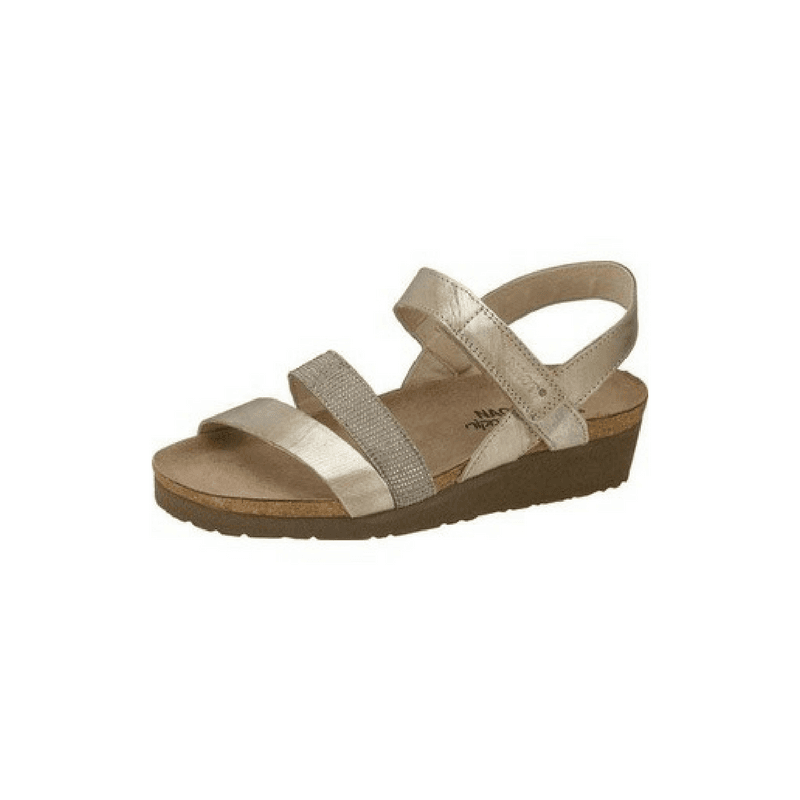 This best selling walking sandal is crafted in several colors and finishes for the utmost in versatility, while the supportive cork footbed provides incredible levels of comfort.